Pikes Peak Brewing Company, Monument, Colorado, is excited to announce the release of its most anticipated seasonal beer of the year. The AdAmAn (pronounced Add A Man) Holiday Ale. This ruby red ale is crafted using orange peel, ginger, cinnamon, and honey and is described as Christmas in a glass. This beer is best paired with friends and family to warm you on a cold winter’s night. The beer is named after the famed hiking club in Colorado Springs. The AdAmAn Club is a unique group of mountaineers, who each year on December 30th and 31st, climb the icy slopes of Barr Trail on the east face of the world famous Pikes Peak. Then, at the stoke of midnight on New Year’s Eve, AdAmAn members and their guests ignite a glorious fireworks display from the summit to usher in the New Year. Every year one member is added to the club (add a man) and they have been making the climb since 1922! AdAmAn Ale is available in draft and cans throughout Colorado and at all BevMo! stores in California. For more information about the AdAmAn Club, please visit (http://www.adaman.org). 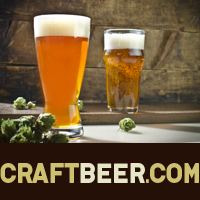 The post Pikes Peak Brewing Releases AdAmAn Holiday Ale appeared first on CraftBeer.com.